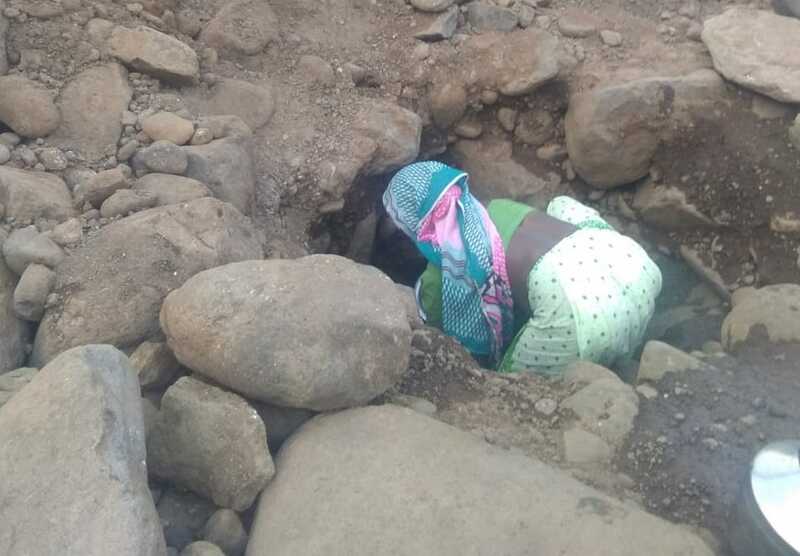 Our partner, Seva, working among tribal people in Maharashtra had gone to distribute SD cards for latest audio programmes for the 'speaker boxes' when they discovered the community in Kahandol in great distress due to lack of water. They found people desperately trying to dig pits to find water, but with little effect. 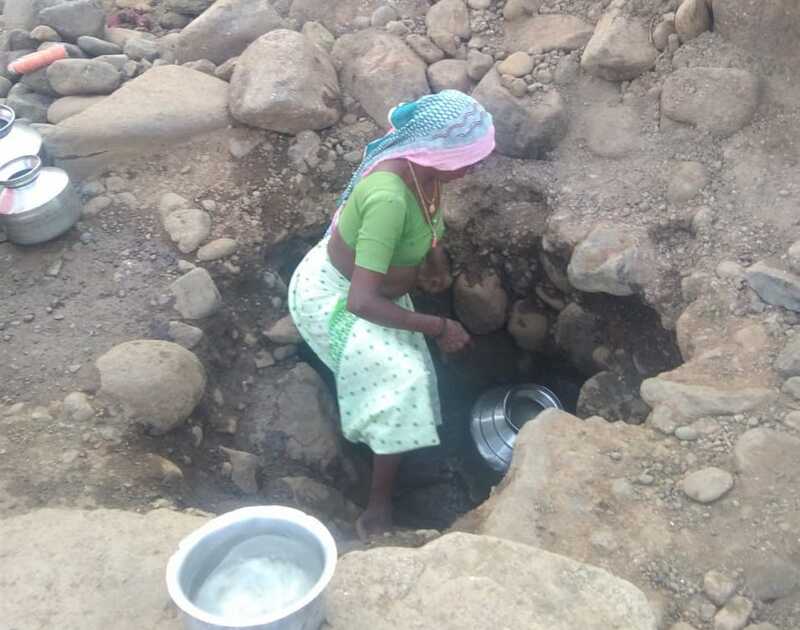 Although HCR is sponsoring a well for the village, which is now in the process of being dug (see https://www.h-c-r.org/news/2019/3/4/time-is-running-out), Seva’s Chief Executive, Shilpa Shinde said they had to do something to alleviate the community’s distress. 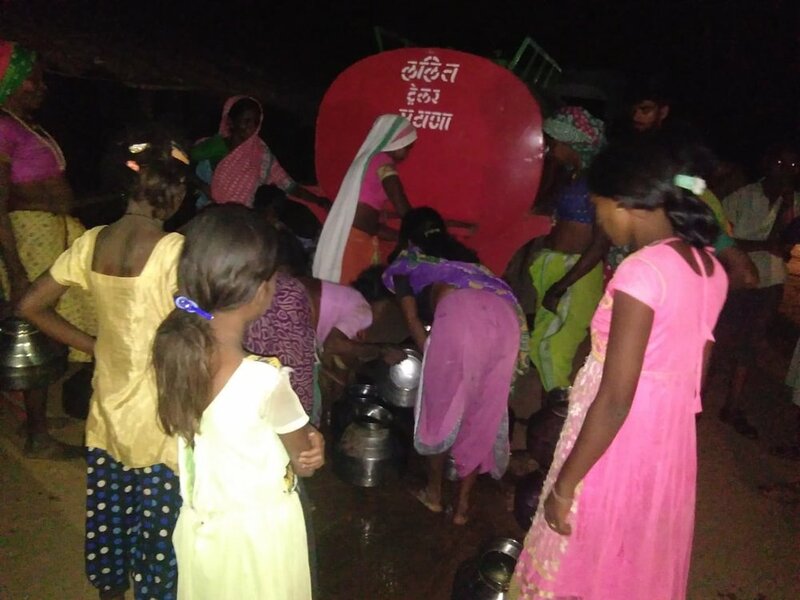 After hunting around to find a water tanker they eventually managed to get hold of one, which arrived in Kahandol village late in the evening. They have arranged for a water tanker to come to the village every two days until the new well is completed. We’re so proud of our Indian team-mates for this act of compassion! Doesn't the man's face say it all? "Only 28 days until the water runs out!" The river bed is drying out. Says Patil Ramdas Warde, the leader of a village in Maharashtra. Such is the plight of many tribal communities across the county. The lack of rain has led to major crop failure. Eighty per cent of the rice plantations have failed to yield a harvest. As the Patil – meaning ‘village head’ – shared his worries with us, the need of the Adivasi Village Project became increasingly apparent. India is the fastest growing economy in the world, yet when we went to pay for our hotel stay in Nashik, reception could not accept an international credit card. We experienced similar problems trying to withdraw cash from ATMs. As I upload this blog using 4G from my mobile hotspot, villages 10 kilometres from here do not have a sustainable water supply. It is such a bizarre phenomenon to be surrounded by all the technology of the modern age yet know basic needs for daily living are lacking around us. But there is an incredible opportunity here for positive social change using media. HCR is working with Seva Social Welfare Foundation to bring health, education, and social development through the “speaker boxes” project.The speaker-MP3 players, provided to every family in the village, are filled with informative and entertaining programmes to help alleviate the problems that come from dirty water, non-nutritional food, and lack of sanitation healthcare. It is six months since the "speaker boxes" were first distributed, and already the impact is astonishing. “People are changing their habits. There is good hygiene now, people are boiling water, and there are fewer stomach problems than before," says the Patil. 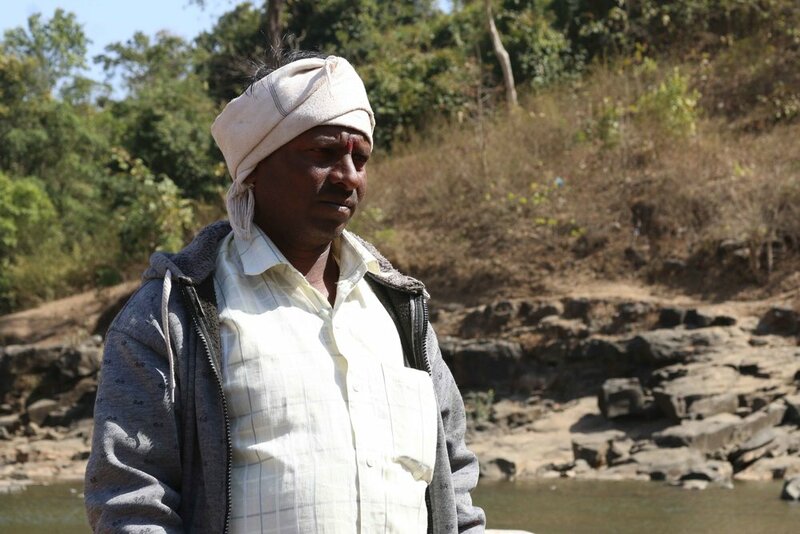 He told us that the tribe learned how to construct a dam through the Adivasi Village Project. 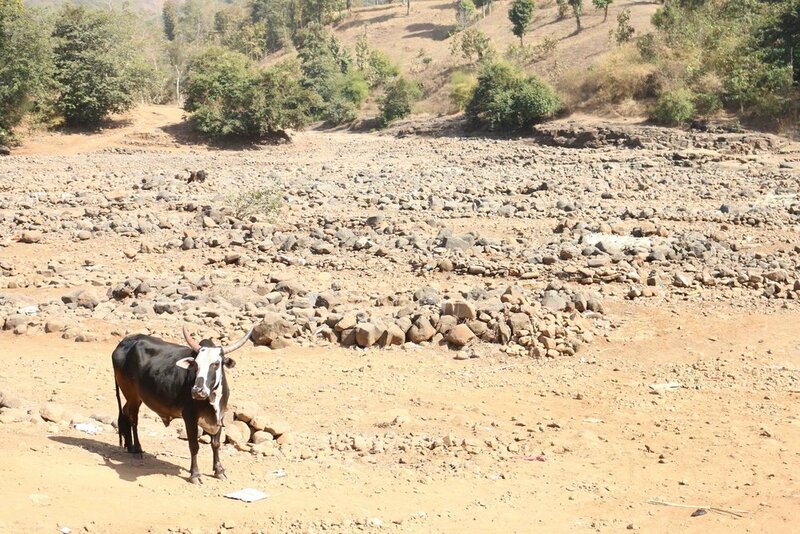 Patil Ramdas also told us that when the monsoon does arrive in June, and the reservoir begins to fill, the first rain collected in the dam makes people very sick. HCR and Seva are now supplying chlorine tablets to prevent cholera and other common diseases after the first rainfall. But now the urgent need is to find a specialist on-the-ground group to come and aid the village – drilling a well would mean they never run out of water again. Patil Ramdas is concerned for his community.